What is Wrong with Great Basin Streams? Elko County’s distinctive landscape is little understood and often ignored. It is huge, covering ten million acres or 17,181 square miles. 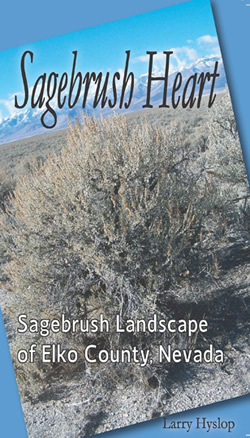 Its sagebrush habitat nurtures Sage-grouse, pronghorn antelope, jackrabbits, wild horses, and cattle. 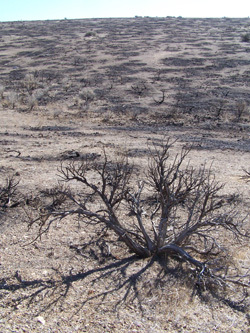 Huge wildfires have ravaged Elko County and cheatgrass now dominates thousands of acres. Sage-grouse are declining and wild horses are multiplying. Public lands, especially riparian areas, suffer from past improper grazing. Sagebrush Heart talks about who owns all this land, who works here and who cares about it. This book describes land managers who are optimistic about the future of these lands. People display a spirit of accomplishment as solutions are tested and proven. These plants, animals, and issues are not unique to Elko County, but shared with most of Nevada and much of the Great Basin. Sagebrush Heart offers a better understanding and better appreciation of this unique Nevada landscape.